As Small Business Week comes to a close, I am inspired to start my 1st blog post by telling my personal Small Business story. My name is Hoang Tran. You can pronounce it as “Wong” or just call me Juanita….there’s a funny story to that, but later. 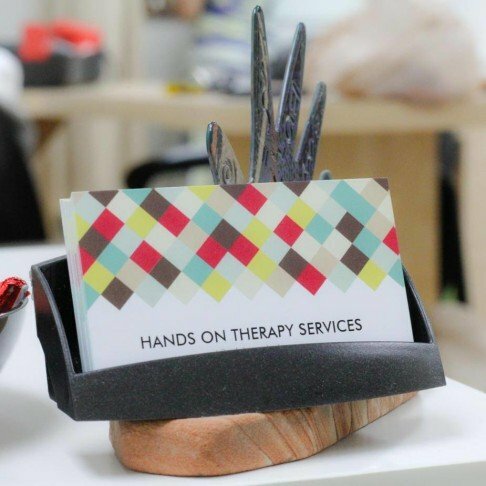 I am an Occupational Therapist and Certified Hand Therapist. I’ve had the privilege to work as a therapist in Miami in skilled nursing homes, rehabilitation centers, several hospitals of various sizes, and outpatient settings/centers over the course of my career. Seven years ago, I started thinking about opening my own therapy clinic, going so far as to looking into renting a space and reading about business plans. I spoke to several people in therapy and other businesses about the stepping stones towards opening my own business, and then I got pregnant. Well, needless to say, after much talking about how I could be superwoman and still do it all with a toddler and a new baby on the way, I finally decided it was better to hold off. I really do think it’s all about timing. I had a great job, I was happy, everything was good. But that seed was planted, and I just kept wanting more. The company that I worked for at that time that I finally decided to open my business just wasn’t doing well, and that’s when I decided that I was going to make that leap; be it hell or high water, I was going to succeed with opening my own business. I wanted to grow, to push myself, as a therapist and as an entrepreneur. I also wanted to reap the rewards of all of my hard earned experience in my field and all of the hard work that I am willing to put forth in order to make my own business a success. This blog allows me to share this roller coaster ride with you about how I started my business. You have remarked very interesting details! ps decent internet site. “I just wish we knew a little less about his urethra and a little more about his arms sales to Iran.” by Andrew A. Rooney.